Tater Tot Casserole is an incredibly easy dish to make and everyone always loves it! Layers of tater tots, meat and veggies are covered in a simple sauce and cooked until hot and bubbly. 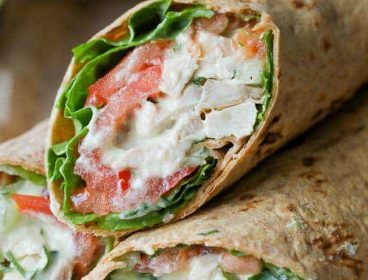 It’s easy, creamy and and oh so yummy! 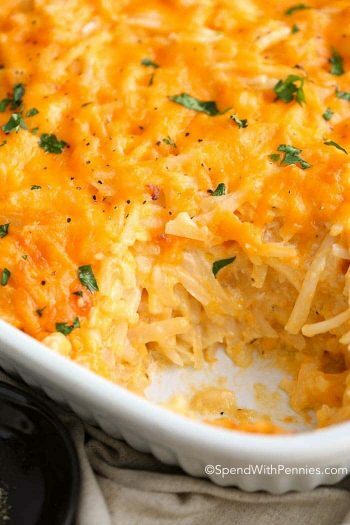 The best part is, this tater tot casserole is so versatile depending on what is in your fridge! 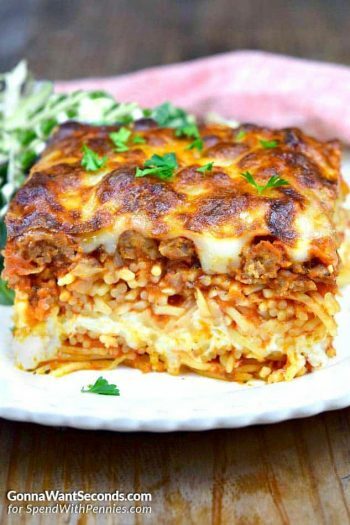 I love casseroles from Unstuffed Cabbage Roll Casserole to Homemade Mac and Cheese, there’s just something so comforting about a hot and bubbly meal coming out of the oven. While this easy Tater Tot casserole isn’t the prettiest dish ever, it definitely tastes amazing! 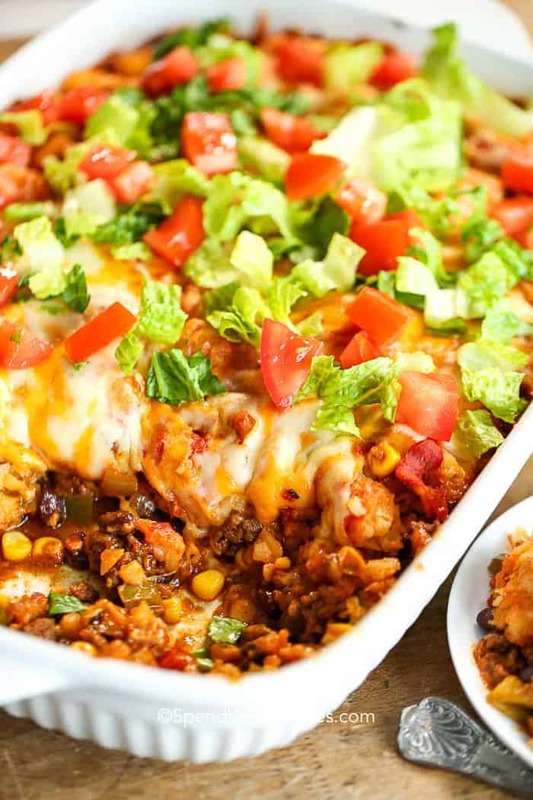 Of all of the versions out there, I definitely think this is the best Tater Tot casserole because it’s so easy to put together yet really delivers on flavor (well, this and of course Mexican Tater Tot Casserole). 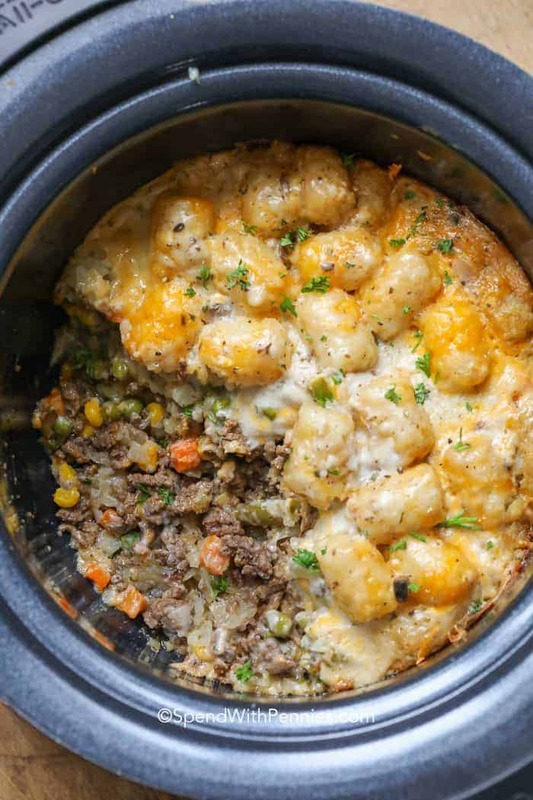 I start with a layer of tater tots on the bottom of a slow cooker (I use a 4QT CrockPot for this recipe), and top it with a layer of ground beef. I use frozen veggies right from the freezer meaning no prep required and then top with another layer of Tater Tots. 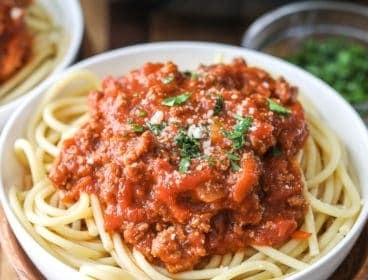 A quick and simple sauce is added with a bit of cheese and it all cooks to perfection in the CrockPot. Easy peazy right?! 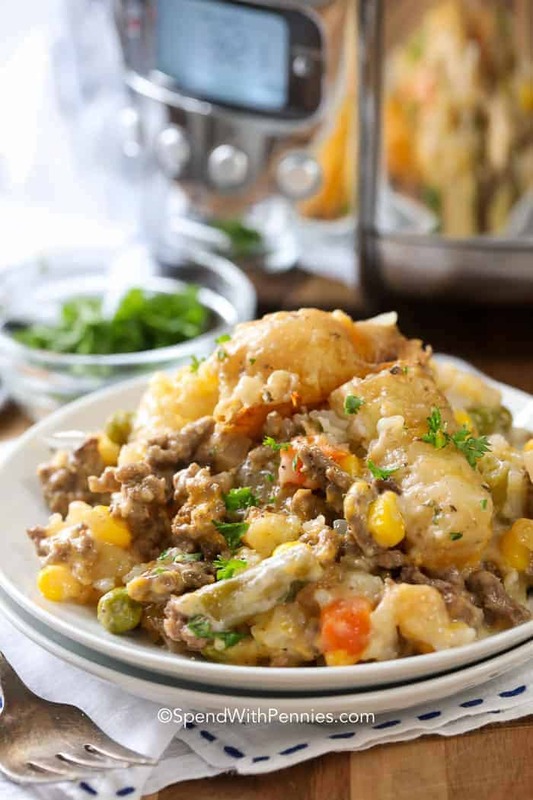 Once cooked, this Tater Tot Casserole is absolutely delicious and actually reminds me of a cottage pie (which is the same as Shepherd’s Pie with beef instead of lamb). Surprisingly enough, cooking this in the slow cooker you still get the crusty bits on the edges (which is one of my favorite parts). 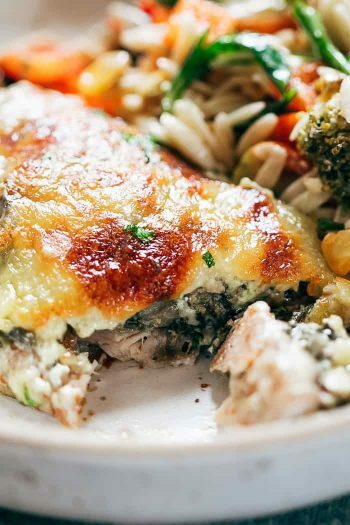 While I use frozen veggies, you can use fresh veggies in this recipe too! 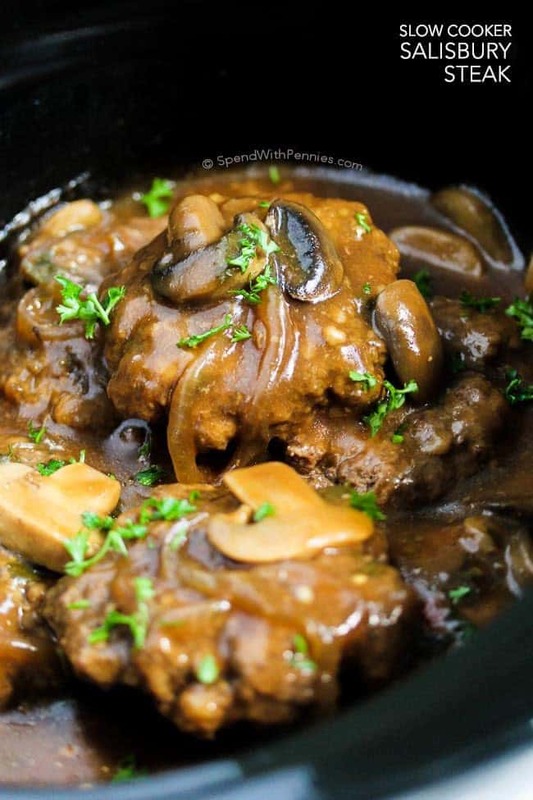 The frozen makes it easy because they don’t require any prep, I just give them a quick rinse in a strainer and pour them into the slow cooker. If you’re using fresh veggies, there is no need to pre-cook them, just dice them fairly small and they’ll cook along with the rest of the dish. 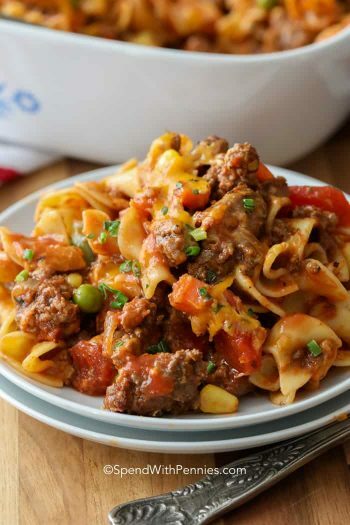 The whole dish will take you literally just minutes to put into your slow cooker and you can use whatever you have on hand! 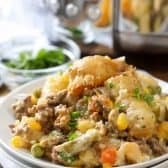 I’ve added lean ground beef and frozen vegetables into this tater tot casserole but use up any leftover beef, chicken or turkey you might have! While I most often cook this in the slow cooker, of course Tater Tot Casserole can be baked in the oven to golden perfection as well. Simply place the beef layer in a 9×13 pan (or any casserole dish will do) and top with veggies and then Tater Tots. Sprinkle with cheese and sauce and bake at 400°F for about 30 minutes or until golden and bubbly. This easy Slow Cooker Tater Tot casserole is a complete meal in itself but we usually serve with with a nice fresh green salad and some crusty bread! This Easy Tater Tot Casserole is a family favorite! Brown ground beef and onion over medium heat until no pink remains. Drain any fat. Place half of the Tater Tots into a greased 4qt slow cooker. Layer beef, mixed vegetables, remaining tater tots and finally cheese. Pour sauce over top, cover and cook on high 3-4 hours or on low 7 hours or until heated through. 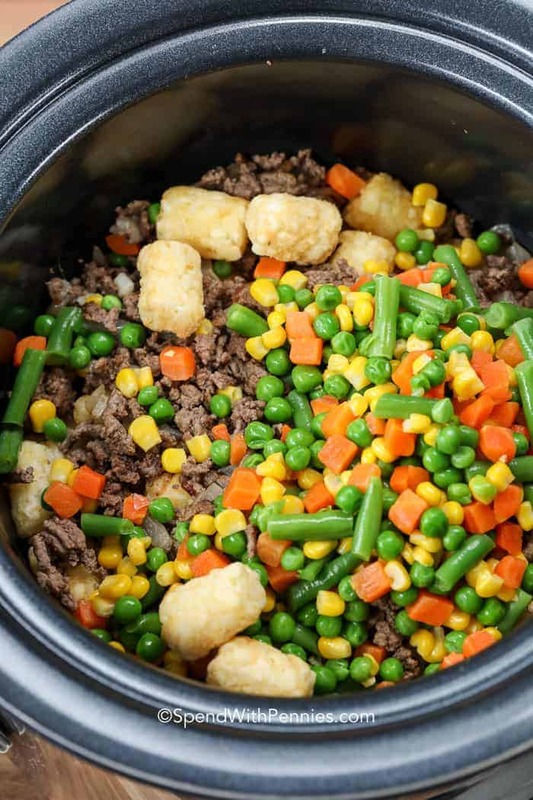 To Bake in the Oven: In a 9×13″ pan, layer beef, veggies and then Tater Tots. Top with sauce and cheese and bake at 400°F for about 30 minutes or until golden and bubbly.